The extent to which Hillary Clinton’s key advisers are now the focus of major FBI investigations is becoming clear. The Clintons’ long-term inner-circle – some of whom stretch back in service to the very first days of Bill’s White House – are being examined in at least five separate investigations. 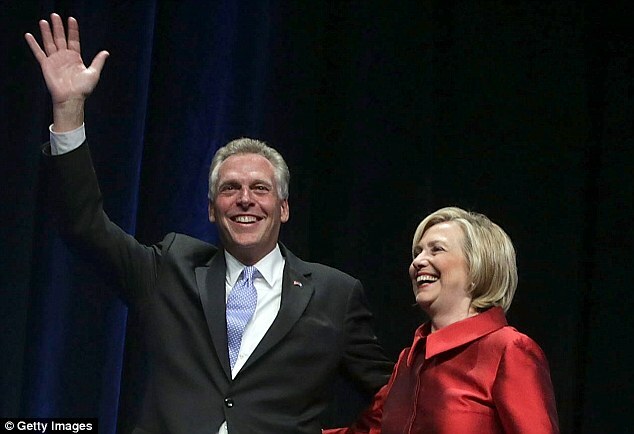 The scale of the FBI’s interest in some of America’s most powerful political fixers – one of them a sitting governor – underlines just how difficult it will be for Clinton to shake off the taint of scandal if she enters the White House. There are, in fact, not one but five separate FBI investigations which involve members of Clinton’s inner circle or their closest relatives. The case appeared to be closed in July when James Comey, the FBI director announced that Clinton would not be prosecuted. It was later made clear there would be no other prosecutions. 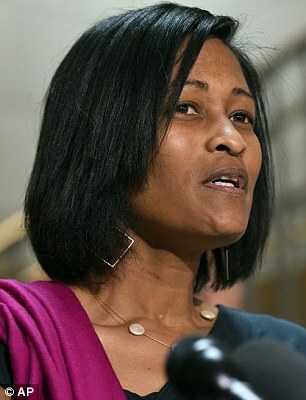 However last week’s bombshell announcement that new emails were being examined put the focus squarely on 40-year-old Abedin. Although the decision had been made not to prosecute, that was on the basis of the existing evidence at the time. But if the search finds new evidence of breaking laws about the handling of classified material, there is nothing to stop a prosecution of Abedin – or anyone else. That, however, is not the only potential for a brush with the law for Abedin. 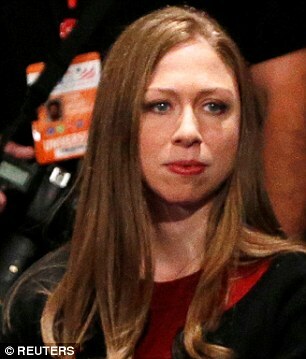 The FBI investigation into the Clinton Foundation also drags her into the spotlight. The probe, the Wall Street Journal reported, is into whether the Foundation was involved in financial crimes or influence-peddling. But the overlaps between him and the Foundation go further than that and into his own campaign for governor and related campaigning. The Washington Post reported in 2015 how he and the foundation had 120 overlapping donors, who had given him, his campaign or his political action committee $13.8 million. This weekend’s tidal wave of revelations also shed new light on an FBI investigation into the donations. 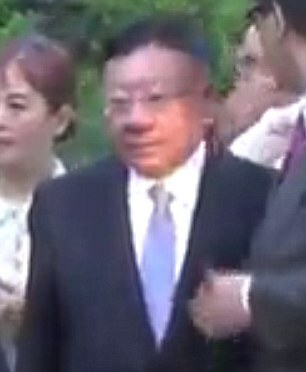 DailyMail.com revealed footage of him going to a fundraiser also attended by Wengliang. The venue was Hillary Clinton’s Washington DC home and the attendees included Huma Abedin. the governor’s lawyer told the Wall Street Journal the probe is focused on ‘whether he failed to register as an agent of a foreign entity’. She exchanged partial immunity from prosecution in return for opening her laptop to FBI review during the Clinton email investigation. Mills was chief of staff under Clinton at the State Department and communicated extensively on the Clintonemail.com private server. The deal with the Justice Department – headed by Attorney-General Loretta Lynch – was hugely advantageous as it also limited the search to no later than January 31, 2015, the point at which the server’s existence became known to a Congressional committee. In March backups of Clinton’s emails were destroyed by a technician, a move which could have been seen as illegal destruction of evidence. 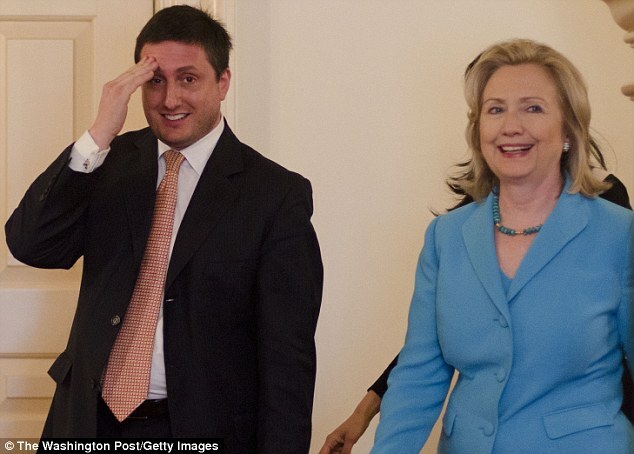 At her side: Phillipe Reines was effectively Hillary Clinton’s chief spin doctor when she was Secretary of State – the point at which the email and Foundation probes center on. As one of her inner circle at the State Department, Phillipe Reines was one of those – he told the FBI – who Clinton turned to for help with her IT issues. He also bought her an iPad in June 2010, when the technology was new. Clinton was to go on to claim she only had ‘one device’. Reines meanwhile used both his state.gov email and his personal gmail for government business while in office. However the other Clinton Foundation probe could also drag in Reines. 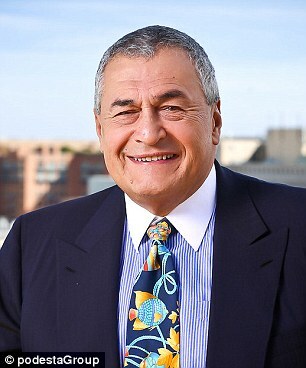 Reines was a key member of the inner circle when Clinton was Secretary of State. His official title was ‘deputy assistant undersecretary’ for strategy, effectively her most powerful public affairs adviser. Perhaps surprisingly, the investigation also lapped at the Trump campaign, as its then chairman Paul Manafort stepped down in August when it was revealed that his company was also being investigated. The broad-based investigation is looking into whether U.S. companies and the financial system were used to enable corruption by the party of former pro-Russian Ukrainian president Viktor Yanukovych, CNN reported. The key to the FBI investigation is that Manafort and his deputy Rick Gates may have been paid by the Yanukovych government to push its case in Washington without declaring that the money came from abroad. One of the firms Gates appears to have hired to help push the Center for a Modern Ukraine was The Podesta Group. His current exact status in the Clinton inner circle appears unclear. On the one hand he has not been pictured with the Clintons in many years or listed at their events. At the time he was being paid by the Clintons as a family aide and through the Clinton Foundation. 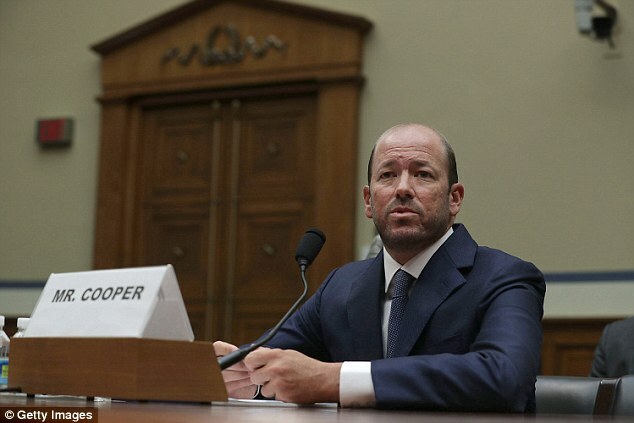 He told one Congressional Committee – the Oversight and Government Reform Committee – that he had no security clearance. However as the man with complete control over the server, he had unlimited access to its contents. 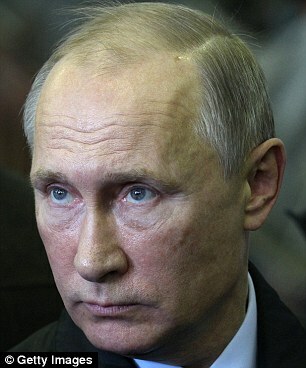 He also destroyed devices which had been linked to the server, including a BlackBerry smashed with a hammer. He was also at the very center of the Foundation’s operations during much of the time Hillary Clinton was in office. 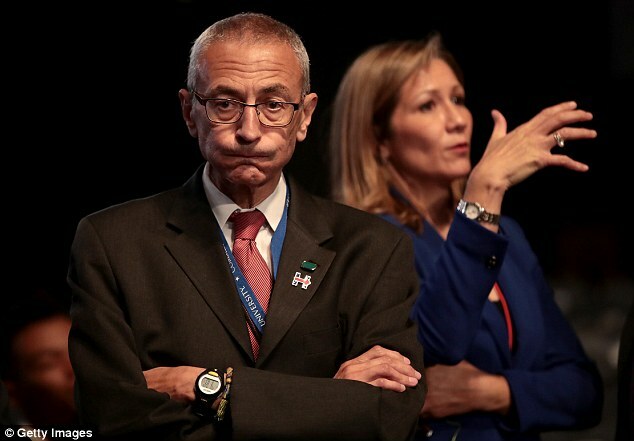 He frequently appears in the leaked John Podesta emails as ‘justin@presidentclintonoffice.com’ and is involved in a series of key meetings. 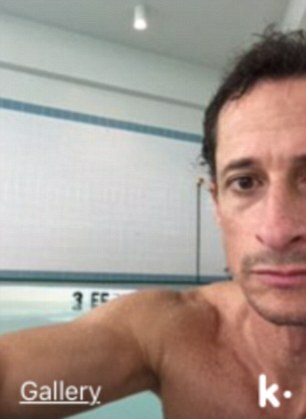 Weiner is being investigated after DailyMail.com revealed how he had had a sexting ‘relationship’ with a 15-year-old girl who told him he was underage. This entry was posted in Domestic Enemies, Editorial, Elections, Safety and Preparedness, Voter issues and tagged Abedin, Clinton, Corruption, espionage, Influence Peddling, Murder for Hire, Podesta, Racketeering. Bookmark the permalink. According to left wing liberals only conservatives engage in this type of fraud and deceit. The Koo-aid bowl the liberals drink from appears to be like the one Jim Jones passed around in Jones town in guyana.